Cooking, eating, shopping and drinking, these are a few of our favorite things. If you want to sharpen your skills as an amateur chef, check out The Culinary Classroom. 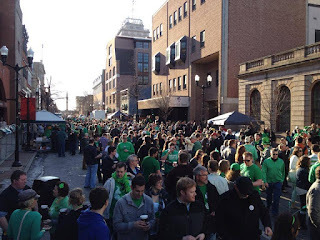 If you're excited about St. Patrick's Day, downtown Lancaster has a great celebration with the King Street Seisiun. And, of course, Lancaster's Mudsales are in full swing right now, offering all things Lancaster from quilts to farming equipment to baked goods and more. Taking place at Simply from Scratch on Chestnut Street, The Culinary Classroom is an opportunity for people who want to hone their cooking skills or just enjoy a night out with a date or group of friends. The classes take place on Tuesdays inside the catering kitchen, which is complete with state-of-the-art equipment. 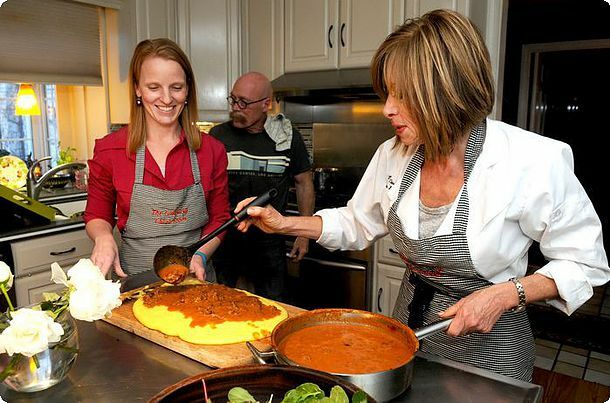 The classes are hosted by seasoned chef, Linda Bell. Her love for all things culinary, coupled with her knack for entertaining and a degree from the Institute of Culinary Education in New York City, among other accolades, makes her classes one-of-a-kind and a great experience for you and your friends or date. Classes include the fundamentals of fine cooking and spring brunch. For more information or to sign up for classes, visit www.theculinaryclassroom.com. St. Patrick's Day is right around the corner and Lancaster has the luck of the Irish sprouting in downtown. One of the largest events for the holiday is the King Street Seisiun. 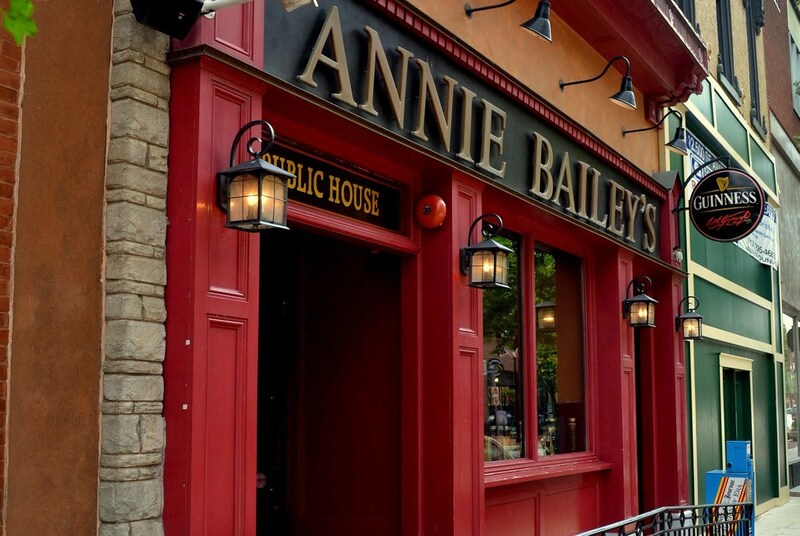 Annie Bailey's Irish Pub and Tellus 360 team up with the Mayor's Office of Special Events to host an Irish block party. The event kicks off on March 20 from 11 a.m. to 7 p.m. at the zero block of East King Street to Penn Square and to North Duke Street. Guests can enjoy live music and entertainment, beer, food and more. Proceeds benefit The Junior League of Lancaster, Music For Everyone, Lancaster City Alliance, A Week Away and United Way of Lancaster. Tickets are $17 and can be purchased at www.kingstreetseisiun.eventbrite.com. 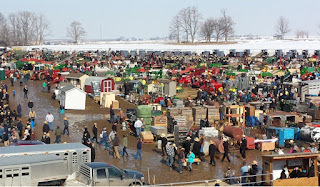 If stomping in the mud and bidding on local goods while enjoying local food and confections is more your speed, be sure to check out the mudsales here in Lancaster. Taking place at local fire companies, the mudsales serve as the biggest fundraiser for the fire departments. If you want an authentic look at what this scenic and pristine county has to offer, its culture and food and friendliness, be sure to set the alarm early and check out one of the sales. This month sales include Farmersville, Penryn, Bart Township, Airville, Gap, and West Earl. For a full schedule, visit www.lancasterpa.com/mud-sales. Need a place to stay? Find the perfect accommodations at one of our many bed and breakfasts at www.authenticbandb.com. And may the leprechauns be near you, to spread luck along your way, and may all the Irish angels smile upon you St. Patrick's Day.